Oatmeal is considered one of the healthiest foods in the world. What you may not know is that there are many kinds available. So in this article, we discuss the best types of oatmeal. Yes, you read correctly. There are many varieties of oatmeal. And, as you’ve probably already guessed, not all of them offer the same benefits. The thing is, there’s also such a thing as unhealthy oatmeal. Well, okay, maybe unhealthy is too strong a word. But there are oatmeal varieties that you want to avoid if you can. There are many different types of oatmeal on the market. 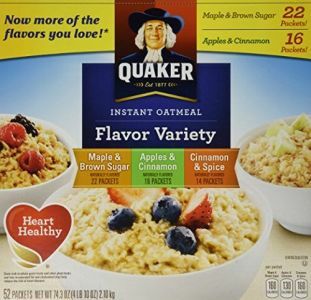 But while oatmeal in general is considered a healthy food, not all oatmeal is created equal. This is one reason why it is important to know how little or how much processing your food goes through. How your food is prepared impacts its nutritional value. One example is rice. Brown rice has gone through less processing and refinement than white rice. And we’re aware that brown rice is considered healthier than white rice. In fact, you’ll probably be surprised to know that at the back of your favorite sushi shop, they have a rice processing machine. These machines allow the chefs to load the device with unrefined rice and process it to the level they want. This gives the sushi chefs the exact texture of the rice they want. Some want it white, while some will give you the option of brown rice. And, then other chefs will choose a texture somewhere in the middle to use for their sushi. 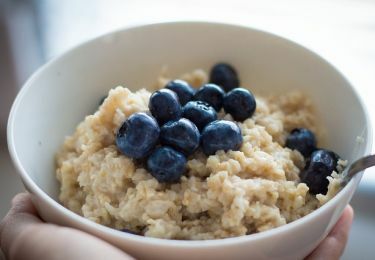 Now, going back to oatmeal, when it comes to oats, how much processing they’ve gone through also affects a lot of things, including their nutritional value and health benefits. This is why you’ll see a wide variety of oats available in store shelves. Some examples of the different types of oats available are large flake and steel cut oats. Now that we’ve gotten that cleared up, let’s talk about oatmeal from the best to worst types for you. 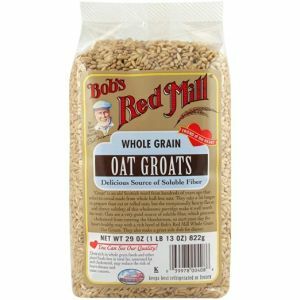 Whole oat groats are the healthiest type of oatmeal. This is because whole groats are simply oats with their inedible hulls removed. They are very rich in fiber, which is important for a healthy digestive track. These oats look almost cylindrical. And, they can take a long amount of time to prepare due to the minimal amount of processing they have. So while they take longer to cook, they’re also healthiest. Sadly, the long cooking time often deters most consumers from using it. They can be found at many health food stores. Next in line on our best types of oatmeal are those from steel cut oats. Steel cut oatmeal is made when oat groats are cut into 2 or 3 smaller pieces by a steel blade. This type of oatmeal is low on the glycemic index and doesn’t take as long to prepare as whole oat groats. They are considered a good source of fiber and will leave you feeling fuller longer. Steel cut oats are now readily found in most grocery stores. They are also pricier than large flake or old-fashioned oats. Large flake or slow cooking oats are made when whole oat groats are rolled and steamed. This type of oatmeal has a creamier consistency than steel cut oats. 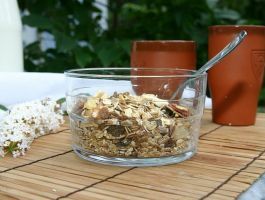 Large flake oats are really somewhere in between whole oat groats and instant oats with regard to how healthy they are. These oats are easy to prepare and are used in many recipes. While they don’t come in readily available packets, you can make your own healthier alternative to instant oatmeal packets, using nuts, powdered nut butters, and dried fruit. Quick cooking oats are the least healthy type of oatmeal, even though they are still considered a whole grain. This because instant oatmeal breaks down in your gut much more quickly than steel cut and large flake oats. Because of this, it makes it much higher on the glycemic index scale. This property doesn’t make it a good choice if you’re diabetic or trying to lose weight. Or someone who’s just watching your healthy. Quick, sudden spikes in blood glucose harms the cells and our health. And is the reason why doctors tell us to stay away from soda and food loaded with sugar. These oats are pressed and steamed, and oftentimes have a much longer shelf life than types of oatmeal that don’t undergo as much processing. This is often the most popular choice because they cook quickly. This is also the kind of oatmeal that usually comes in packets with artificial flavoring. 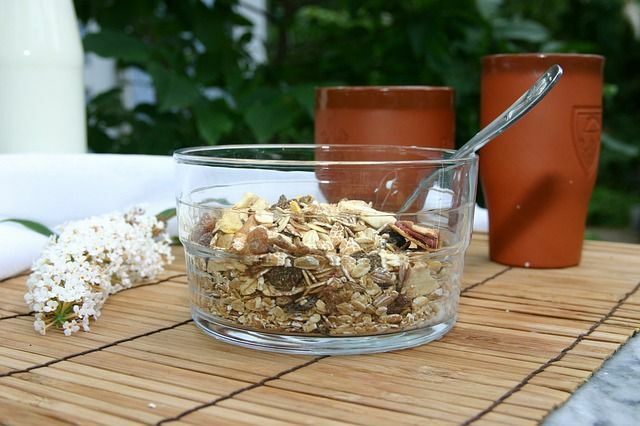 When it comes to oatmeal, choose a type that is lower on the glycemic index. This way you will feel fuller longer and prevent insulin spikes. And when it comes to choosing between them, a good rule of thumb is the more refined or processed the less healthy. So, the quicker they cook and the more things like flavoring or sugar added to them, they less healthy they are. While whole oat groats are the closest to oatmeal in its natural state, they are time consuming to prepare and expensive as well. 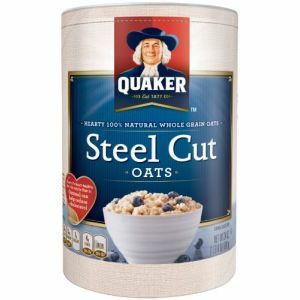 Steel cut and large flake oats are not processed as much. Plus they take less time to cook. These features make them better options for everyday use. Also, stay away from the instant oatmeal. Finally, to oatmeal more flavorful, try adding apples or other fruit and nuts to your oatmeal. This will provide you with a quick and healthy meal.